As promised a few posts ago, here is my Lush Halloween Haul! I did pick up a couple of other products too, but I think they deserve their own post, so keep an eye out for that soon. As you can see, I’ve already delved into one of them; the Sparkly Pumpkin. I’ve got two full baths out of this already, with half of it still in tact. As it’s a bubble bar, you don’t need to use it all at once. Around half creates enough bubbles under running water to get a bath full. With scents of lime and grapefruit, this is one that smells nice and fresh, but not too zingy you can’t relax. The glitter looks worrying, I know. Fortunately, you won’t leave the bath resembling a disco ball. 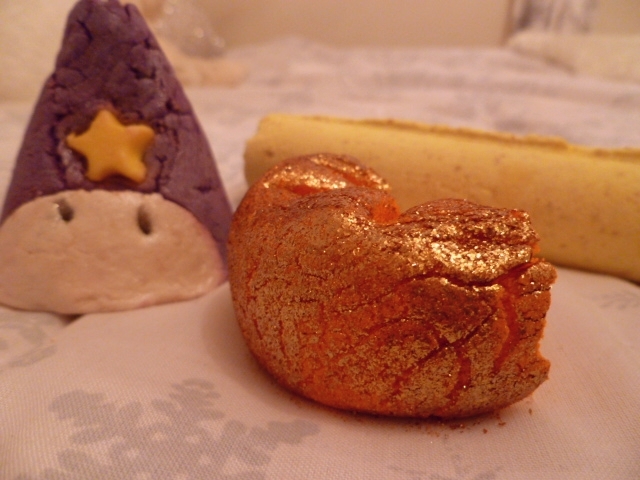 The glitter is fine enough not to get all over you, but you can still admire it in the pumpkin-coloured water. Next up; the Sparkler! I’ve resisted the temptation to use this one first as I know I’m in for a treat. This is one almighty bath bomb! Finally, the cutest one (if you can call a bubble bar cute); the Wizard. Now I know it doesn’t really look like a wizard, but it’s a sweet attempt, right? Just like the Sparkly Pumpkin, it’s another one to crumble under running water to turn your bath bubbly. I haven’t tried this one either, but is my favourite of the three as far as scents go. A mixture of floral and fruity ingredients, this one includes tangerine oil and ylang ylang. 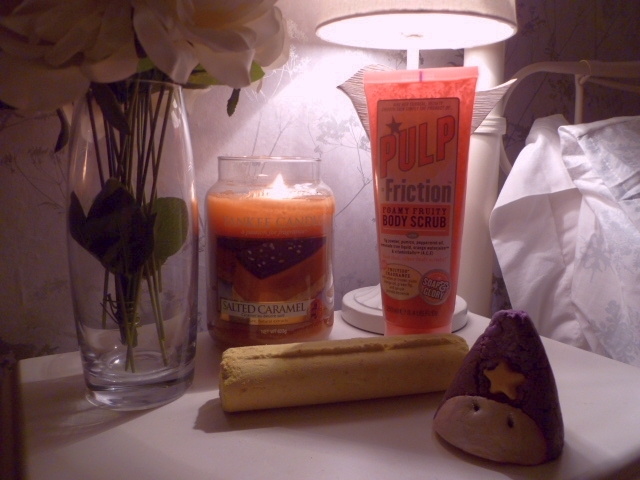 Pumpkins, sparklers and wizards; I love Halloween and Lush makes it all the more fun for a good pamper evening. I wish I could have tried them all! Have you tried any of the Halloween Lush products? The worst thing about being at university is that I don’t even have a bath…. Look at all these LUSH goodies is like torture! The Sparkler sounds like heaven.